Sandra "Sandie" J. Mahn, age 69, of De Pere, passed away Friday, April 12, 2019 at her home, surrounded by her loving family, after a courageous 3 year battle with Corticobasal Degenerative Syndrome. She was born August 19, 1949 in Green Bay, daughter of the late Francis "Stiche" and Leona (Lax) House. Sandie graduated from Wrightstown High School and went on to earn her Bachelor's Degree in Business Management/Communication from Concordia University. She married Robert Mahn, December 14, 1979 in Green Bay and together they shared 39 years of marriage and were blessed with 5 children. 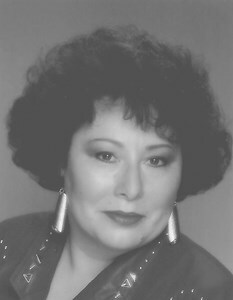 Sandie was employed by the Oneida Nation as a Slot Director at the Oneida Casino for 14 years and later retired from the Oneida Social Services Department. Sandie was a very loving, caring and giving person. She was the family's "moral compass" and her values and morals will live on through those she leaves behind. She was the oldest of 11 children and became a very strong support system for her younger siblings. She was an amazing wife, mother, grandmother, sister and friend. Faith, love, family and work were the most important things for her. Sandie took pride in her family and loved spending time with her grandchildren. She also enjoyed gardening with Bob, shopping, getting her nails done, trips to the Casino and Margarita Monday! Sandra is survived by her loving husband, Bob; her 5 children: Jamie (Michelle) Vande Hey, Ronda (H. Joseph) Hammer, Tracy (Ryan) Fabry, Dustin (Alex) Mahn and Bobbie Lynn Mahn; 11 grandchildren: Nathan, Kennedy and Sierra Vande Hey, Joe, Cory, Trenton, Adam and Chase Hammer, Olivia and Sophia Fabry and Al'Moni Chambers; 7 sisters: Kathy (the late Tom) Ribarchek, Marlene (the late Harlan) Ninham, Gloria (David) Brittnacher, Lisa (Gary) Ness, Laura (Darius) Beach, Michelle (Kevin) Cottrell and Sheila House and 2 brothers, Daniel (Phyllis) House and Douglas (Toni) House. She is further survived by her brother-in-law, Bernie Wilson, many nieces, nephews, other relatives and friends. She was preceded in death by her parents, Stiche and Leona House and her sister, Tina Wilson. Visitation will be held at Newcomer-Green Bay Chapel (340 S. Monroe Ave., Green Bay), Wednesday, April 17, 2019 from 4 to 7 PM. Visitation will continue at First United Church of Christ (509 Webster Ave., Green Bay), Thursday, April 18, 2019 from 10 to 11 AM. A funeral service will follow at 11 AM. Sandie's family would like to express their gratitude to the staff at Anna John Nursing Home, Oneida as well as Unity Hospice for their excellent care and compassion. They would also like to recognize Sandie's sister, Michelle for her kindness and support to Sandie and her family. Add your memories to the guest book of Sandra Mahn. It was a privilege to have known you Sandie! You were everything your memorial said but what I enjoyed most about knowing you, was your humor and willingness to try things (like our exercise & yoga classes, our out-of-the way lunches). May you Rest in heavenly peace. She was a very lovely person. I am glad to have met her. My condolences to all families and friends.